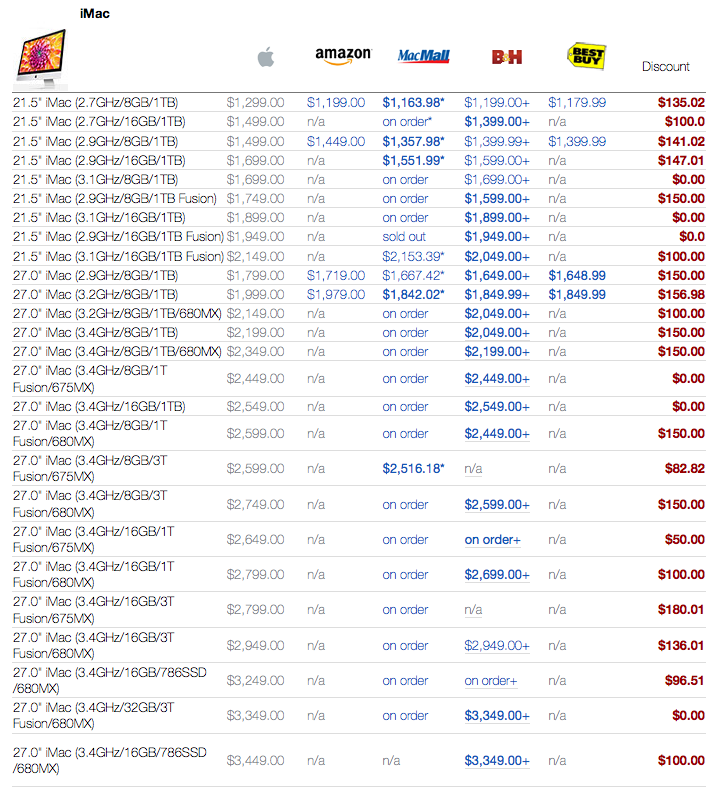 Great discounts are now offered by retailers on custom iMac configurations. The level of stocks is expected to fall in reparation for the Intel Haswell processor. 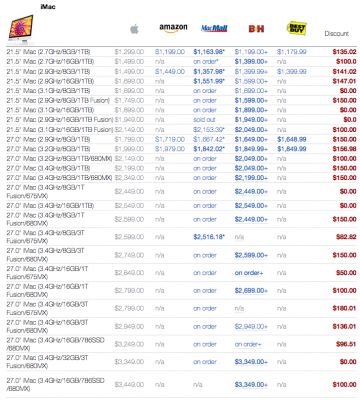 For instance, B&H on Wednesday evening slashed the price of 15 different custom iMac configurations by as much as $150, several of which had not previously been discounted from Apple's suggested retail price. Many of those same configurations were previously available from other resellers, but have not been restocked alongside other Macs for several weeks, according to historical data from the Apple Price Guide. It is also stated that big shopping malls such as Best Buy, Amazon, and MacMall are offering a $100-$150 discount on standard retail configurations. Apple is rumored to insert the new Haswell processor, currently found only in the new MacBook Air into iMac, MacBook Pro, and Mac Mini. According to information from Commercial Times, the new MacBook Pros will be launched in October.